Pillars of Eternity II: Deadfire received its last DLC update just a few weeks ago, but that doesn't mean that 2019 is going to be quiet for the Infinity Engine callback. We already knew that its delayed console release would land sometime this year but Obsidian has announced another major update that goes live in just a couple of days. In a preview from PCGamesN, it has been revealed that a turn-based mode will be added to Deadfire on January 24. Initial rumors of the surprise inclusion of a turn-based mode first surfaced last month when redditor raggnarok encountered the mode by accident when launching the game. He among others were able to engage the turn-based mode while also encountering a new naval combat UI around the same time for a short while. 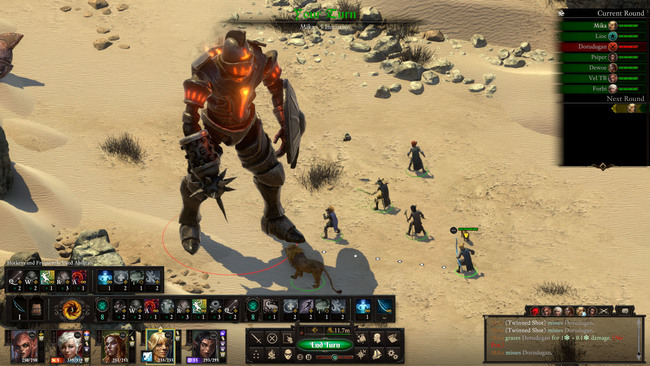 According to the preview, the turn-based mode is heavily inspired by the system present in Divinity: Original Sin, which lines up with ragnnarok's impressions of the leaked feature as well. 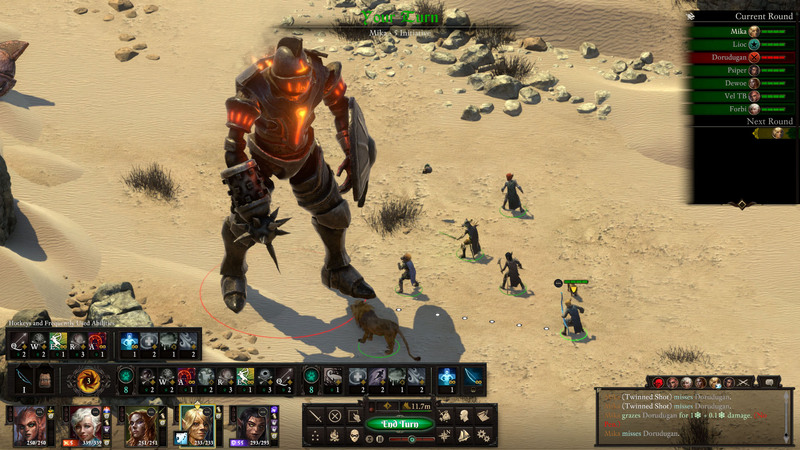 Divinity has been a sales chart topper on Steam ever since its launch, and the turn-based gameplay helps to make it one of the best CRPG experiences on console. While the original Pillars of Eternity also had a console outing, it's perhaps not a stretch to presume that this update for Deadfire was made in partial consideration to its impending console release as well. Note that the turn-based mode is an option that must be selected upon the start of a new game. Seems understandable considering the balancing of the two playstyles is likely to be very different. Offering both turn-based and real-time combat options is a bit of a rarity, though not absolutely novel -- 1997's X-COM: Apocalypse supported both modes, for instance. Still, we're eager to try out the new playstyle, likely in conjunction with the console release later this year.